The abundance of goose in parks, lakes, grasslands and fields has become a problem for people. The people who come to these places to enjoy the weather and lovely sceneries, find the mess created by goose droppings. A great number of these goose spread a lot of waste. These creatures not only choose the grounds to discharge the wastes, but water also carries their droppings. This is not just a mess; it contains such chemicals that are harmful to aquatic life as well as humans. Moreover, the goose behaviors and the eating habits bring the life of the crops and water plants to an end. These are a danger to the people who want their gardens well-maintained. Goose pick the places where the grass is green and properly trimmed. The garden owners can suffer ongoing costs if the goose are around. Precautionary measures on the early stages can make your ways easy and effective and avoid the further damage. Geese that are invading urban spaces mostly choose to inhabit towns and suburbs. Geese can be problematic because they can threaten public safety. They can cause traffic accidents when they cross roads while searching for food or water. Geese can also get rather aggressive. They have a tendency to attack and nip people, particularly children and even pets if their nests are threatened. This can happen even if a person were to chance upon or move close to their nests with no intention to destroy or hurt it. There have even been documented cases of injury and deaths that have occurred because of aggressive geese. Another point to note is that you should never hand feed geese. Once you have offered geese food, they become aggressive and angry when they do not receive any. Hence, they start to attack people if they do not get any food. Hand feeding also habituates geese to a location because they associate it as a place where food is easily found and accessible. Additionally, as mentioned earlier, geese cause devastation to agriculture grain crops, whether they eat them or trample all over them. They end up causing a lot of damage, especially since they travel in large groups. As a result, it is imperative to remove these pests, especially if they’re near your home or farm. Even if you only have one or two geese, you should take action to get rid of them as soon as possible. This is because these geese will attract even more to the location. All in all, geese are immensely problematic and should be kept away at all cost. Nesting usually happens in February through April. Geese generally cause issues in areas close to where they nest, so it is important to prevent them from nesting in the first place. This makes sure that geese do not have a place to live and it prevents them from laying eggs and hatching their young. Since geese get very aggressive when protecting their nests, it is almost impossible to get rid of them once they have chosen an area. To make matters worse, pest repelling methods like harassment, scare tactics and decoys become much less effective when nests have been created. It is not an option to kill or harm geese without a permit, since they are protected by the Federal Migratory Bird Treaty Act. Hence, prevention is the best solution. You may consider preventing nesting by making your property less appealing to these birds. Geese like to reside in places with a large space for grazing and an accessible source of water. Consider trimming the grass around lakes and ponds so that the geese’s view is obstructed. You can let shoreline vegetation and plants grow freely and naturally to prevent them from getting to the body of water. The shoreline vegetation will also make the geese feel unsafe in the water because they will not be able to see around them, leaving them vulnerable to a predator’s attacks. Trees can also help block the geese’s visibility. Conversely, by placing mesh and wires around the water source, you can also successfully block them from the water. Also, consider planting vegetations that geese dislike, such as tall fescue, which can cause stomach discomfort in geese. Another method of nest prevention is scare tactics. You can consider using herding dogs to scare the geese away. You will have to repeat this several times a day though, especially during the first few weeks when the geese appear in your property. This makes sure that they are aware that your property is an unfavorable location. However, your dogs cannot be just any kind of dog. They must be trained to do this particular task. The dogs must know how to drive the geese away assertively but not too aggressively that they hurt them. Also, not too passively that the geese do not think of your dog as a threat. You can also use noise-making devices and predatory decoys to scare off geese. The con of this option is that geese are intelligent and can quickly grow accustomed to these systems. As a result, they may end up nesting anyway. Light devices that flash brightly can also help disrupt the sleep pattern of the geese. This will convince them to find more suitable areas to nest and rest. These devices can be used on land or on water, depending on where you need it. Another effective method is predator decoys. If you choose to use these decoys, you should move them around all the time. This is so that the geese feel unsafe and are convinced that the models are dangerous, rather than an immobile display. Predator decoys that are available are usually coyotes, wolves and foxes. Alternatively, swans are another option. They are aggressive when they protect their young and territory. Geese are aware of a swan’s characteristic, so they naturally avoid areas that are already inhabited by swans. However, this method is not as effective by itself. So pair it with another method like repellents. Geese repellents are effective ways to get rid of geese in a way that does not harm the birds or humans. The ingredients used in repellents simply affect the geese through taste, smell and digestion. Some repellents make the grass taste bad or make the grass hard to digest, which signals a non-reliable food source. Other repellents may drive the geese away through the smell. Both ways encourage the geese to choose another location to nest at, since the food source is unreliable. 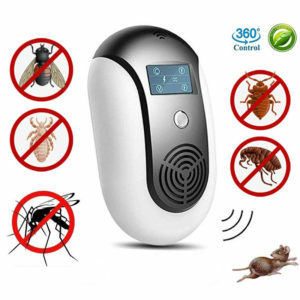 There is also a variety of repellents available in the market. Many of them are non-toxic and biodegradable. Importantly, most of these repellents are safe for humans too, which is why some of them are actually used on crops to repel geese from them as well. A drawback of geese repellents is that you need to use quite a bit of it for it to be the most effective. If you skimp on it and use less, they may not be as effective on the geese. This is because they might simply choose areas that are barely affected or not at all. Chemical goose repellents can also drive geese away. They should be applied to areas where many geese gather. This method is not dangerous towards the geese, but the effects do not last for long and it requires many reapplications. When you use a goose repellent, you must spray it about every five days and also re-apply in the case of heavy rain. You can do this by filling the liquid into a garden sprayer and sprinkling it over your grass. This is especially important to do right before the season when geese lay eggs. To use these geese repellent sprays, you should apply it onto dry grass. These products only work on grass and do not work on new growth as well as freshly mowed turf. Goose repellent products may have a slight odor temporarily, but it will dissipate within a few hours. It is advisable to use other geese repelling methods like decoys, scare tactics and sprinklers concurrently with geese repellent sprays for the most effective removal of geese. 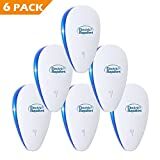 These repellents use methyl anthranilate and anthraquinone – naturally occurring chemicals without hazardous residue. Methyl anthranilate affects the taste of grass so that it can repel the geese. Anthraquinone, on the other hand, targets digestion and causes stomach discomfort in geese. These two chemicals will not be washed off in the rain, but mowing the grass reduces their effects. However, these chemicals are rather pricey, especially when you need a lot of it to cater to a large area. Additionally, if you choose to skimp on areas, you end up still finding geese in the patches that have not been treated. Then, all the spray and effort used to treat your property would have been wasted. We can drive these birds away by using some humane methods instead of hunting and killing them. Although it is not difficult to remove the single goose that stays in your house nut, they get out of control if more in number. You will come across a large variety of goose control products if you go to the market. The available devices serve different purposes. Some are used to scare the birds, some to spray them away and others are to create an undesirable environment for them. Bird control drone is also one of the options. Here is the review of top products that property managers can grab from the market. Goose avoid being at the places where they find something they are scared of. Scaring can work to get rid of them. The prismatic outline on the tape acts as a mirror and creates a reflection that is quite irritating for the birds’ eyes. They try to avoid eye contact with these tapes as well as the waving sound. This is an easy-to-use and time-saving solution to keep your property protected. How to use: Indicate the problem areas and attach the tape of a specific length, depending on the area, to the tree branches, grills, sprinkler riser and any other place where there is a chance of birds dwelling. Where to use: This can be used in orchards, fields, fruit trees and the other grasslands. Benefits: This is a perfect solution to scare the birds and keeping them at arm’s length without hurting them. These 3D predator replicas are cost effective and their real look can easily scare birds even from a distant place. These are safe and let you save the clean-up cost and other damages. How to use: Put these replicas on display in your garden where they are visible to the bird. Where to use: It covers the range of almost 1 acre. You can change the place occasionally in your garden to make it work better. Benefits: They are visible to the birds from all the angles. The best part here is that no maintenance is needed. Putting them on display is enough to scare the birds. Disc repellents are easy-to-use and cost friendly deterrents. Discs are made up of stainless steel and are rust resistant. Hanging them in the garden adds to its beauty. How to use: These repellents are rings. All you have to do is to attach the rings to each other and hang them in the targeted areas. 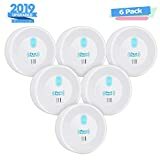 These movable double-sided reflective discs will reflect the sunlight that is hurting for bird’s eyes and will scare them away, and the birds would like to find the alternative food sites. Where to use: These pretty hangings can be used in your backyards, roofs, over crops, balconies, and patios. Benefits: Bird repellent discs are non-toxic and drive the birds away without causing any harm. These will save you from all types of costs such as maintenance and clean-up cost. Spray repellent products are available in the market that serves the purpose of making the food undesirable for the birds in your garden so that the birds move away to look for a better place. These goose repellents usually contain grape seed extracts. 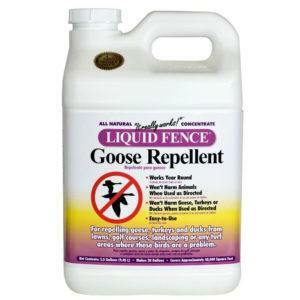 Liquid fence goose repellent is an easy-to-use solution and formulated from the natural materials. It constantly works to repel goose and all the other birds of the same family. How to use: Fill the liquid in the gardener sprayer and sprinkle all over the turf area. Avoid the contact with the ornamentals. The best time for its use is before the season of laying eggs. Where to use: It is effective in residential lawns, golf courses, athletic fields or any other grasslands. Benefits: This repellent makes the main attractant (food) of goose undesirable. When goose get the shortage of desirable food, they will start moving from that place to search for better options. This is an organic solution, contains essential oils. Rosemary, and Mint and can easily be used. This formula is also harmless to fruits and vegetables. Rain or snow doesn’t affect the solution; it will keep on working for 30 days. How to use: Apply to the affected or damaged areas and repeat the process after 30 days or if the birds ever come back. Where to use: Spray this pleasant smelling formula in your gardens or vegetation areas, and you don’t have to worry about its effects on fruits or vegetable as it doesn’t harm them. Benefits: The formula is totally natural and is not harmful. It is equally effective on all its working days and is worth giving a try. This is ready to use solution unlike to other solutions that require making a solution separately in a bucket and spray them. This is a better option if you are looking for an instantly useable item. How to use: This is used same as the other repellents of the liquid fence. You have to sprinkle the solution all over the affected areas and wild grass. Where to use: Lawns, golf courses, athletic fields and grasslands are the main targets to get the goose disappeared. Benefits: A humane and safe way to prevent goose by making the food almost disappeared for the birds. Sonic devices can make your gardens and balconies a dangerous place for goose. These birds are repelled by the sounds they just hate to listen. Outdoor electronic repellers accomplish your purpose of modifying the initial goose inhabitant. Easy to install, hoont ultrasonic repellents are waterproof and run on the solar power. Functions on the device can easily be set, and it takes less than a minute to fix it in the garden. 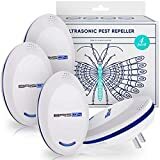 How to use: The powerful ultrasonic sounds and flashing lights play their part to scare the goose and many other pests. Their foremost goose repelling mechanism will create an uncomfortable environment, and they won’t let them suffer such environment. Where to use: You can install them anywhere in the garden as is covers a wide range. It can be used where your crops are in danger. Benefits: It gives a human and environment-friendly way to repel the birds. Its weather resistant feature makes it durable for all the seasons. 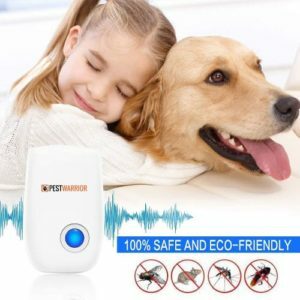 It is a battery powered deterrent and repels the goose with sounds, and its latest electronic technology makes the sound noiseless for humans. Its ultrasonic signals get activated when the nuisance animals are around the location and shoo them away. How to use: The battery should be fully charged before it is set. Hearing range is adjustable according to the type of the animal. Where to use: It can be used anywhere in the yards, fields, or near the crops or somewhere near water where goose are mostly expected. 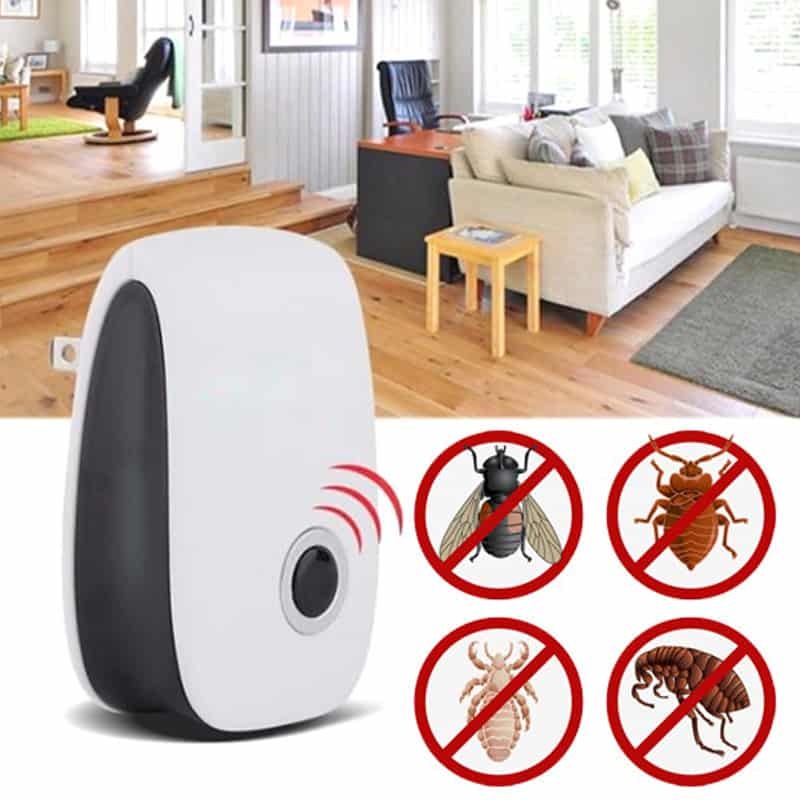 Benefits: This is considered as one of the best animal deterrents due to its advance technology and high coverage. It is safe for animals as well as your children. Its ultrasonic and electromagnetic functions take control of the whole area and cover a wide range. It creates an environment not suited for the pests. It gives the lifetime guarantee to the customers. It as chemical free and has light censors that work in the dark. How to use: Set the frequencies for the specific type of birds before fixing it. Where to use: It can be used in houses, offices, and patios. Benefits: This is totally silent for you and your pets like cats and dogs. Its lifetime guarantee has won the customers’ confidence. It is not risky for people to test its effectiveness. The bottom line is: geese are huge pests that cause a lot of trouble. For one thing, they are dangerous to humans with their aggressive behavior. Not only that, they cause messes and harm to the environment with the immense amount of waste that they generate. Their presence is harmful to humans and even the aquatic life around them as well. Hence, it is important to get rid of them as soon as possible. This also includes preventing them from nesting. Geese repellents are a great option to get rid of them, since they do not cause much harm to either the geese or humans. However, since repellents can be expensive due to the fact that you need to apply them extensively, you may consider pairing it with various other methods, including scare tactics, noise, herding dogs, or others. With more than one method used, you will be able to ensure maximum effectiveness in preventing geese from nesting, or simply ridding your property of them.